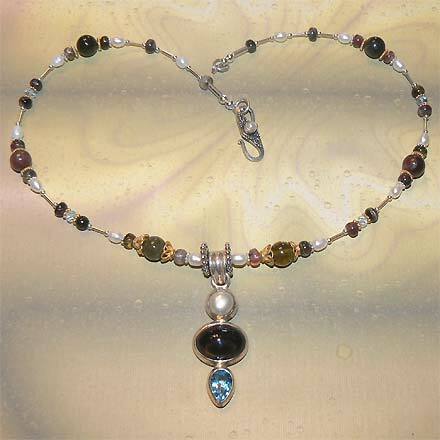 Sterling Silver Tourmaline, Blue Topaz and Freshwater Pearl Necklace. See Closeup. Sterling Silver Tourmaline, Blue Topaz and Freshwater Pearl Bracelet. 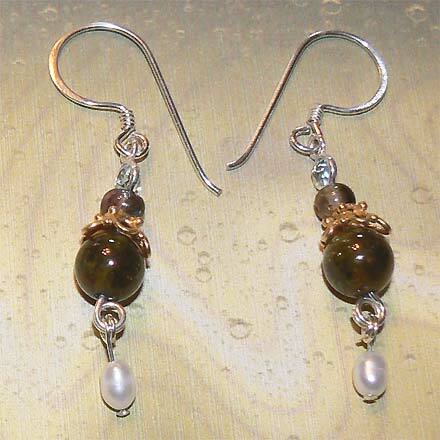 Sterling Silver Tourmaline, Blue Topaz and Freshwater Pearl Earrings. Nearly every color of the spectrum can be found discretely here! Pinks, reds, blacks and greens in the Tourmaline, white Freshwater Pearls, Blue Topaz, all highlighted with a little touch of gold Vermeil. 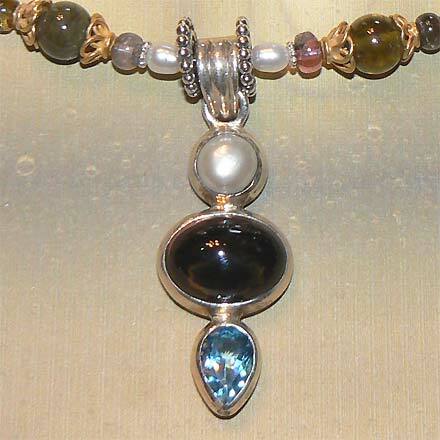 The main stone in the pendant, Tourmaline, looks dark. But when held up to the light, it is like a reverse watermelon with pink on the edges and green in the center. Very unique! 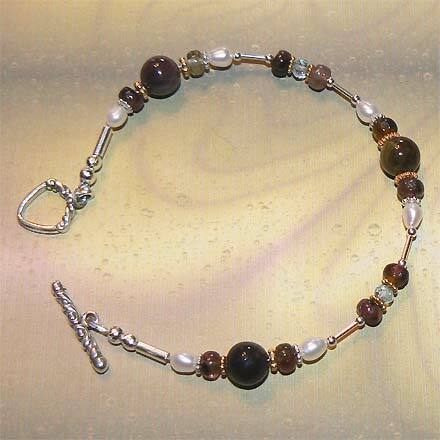 For those who are interested in Astrological significances of stones, Tourmaline is the birthstone for October, Pearl is associated with Gemini and Cancer and the month of June, and Blue Topaz is the birthstone of December.